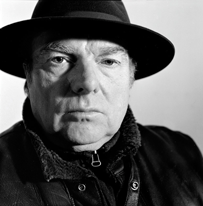 What can I say - Love Van Morrison - great singer and songwriter and he's from my hometown - legend! I love "Astral Weeks" by Van, a great record, one we used to listen to on the road way back. I don't think anyone knows Van! Van Morrison live at the Point theatre 1995. It's my first time to see Van the Man and it's a great night. He starts off with some of the new stuff Days Like This and No Religion. He has loads of great songs. Great version of St Dominics Preview. About halfway through the band really kicks in, they do Moondance and the place starts going mental. They do No Guru, No Method, No Teacher and everybody is up and dancing. There's a great version of Whenever God Shines His Light with Brian Kennedy. All the great songs are there and it's a great night. Would you like to share this website with someone or bookmark it? Just click on the button below!